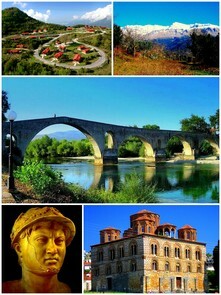 Arta is a city in northwestern Greece, in the province of Epirus, with rich history. 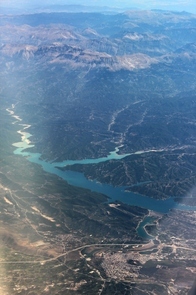 The Arta prefecture is one of the least fertile regions of Greece and its tourism rates are low. Its charm may well be that it still remains under the radar. 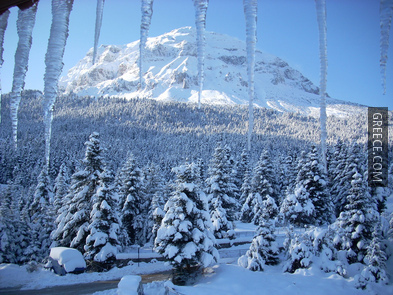 However, there are many reasons to visit the area. A walk through the city reveals a number of archaeological sites scattered around, as well as numerous Roman, Byzantine, and Ottoman monuments. 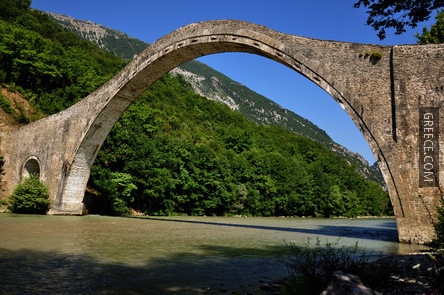 The most famous landmark is a legendary stone bridge built in 1602, and passes over Arachthos river. Orange and olive groves are on the outskirts of the city. North of the city, the lovely villages were the hiding grounds of the very active resistance movement during the German occupation in World War II. 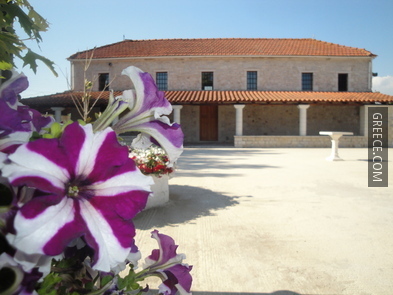 To the south, beyond the orange groves, next to the Ambracian gulf and the fertile areas of Logarou and Tsoukalio lie many more small villages such as Aneza, Vigla and Rachi. The history of Arta goes back to the Paleolithic age. 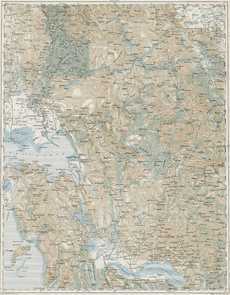 The first settlement in the area was established in the 7th century B.C. by Corinthian settlers. 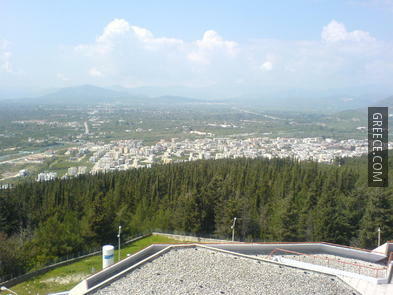 The city remained an ally of Corinth and Sparta throughout the Peloponnesian War. 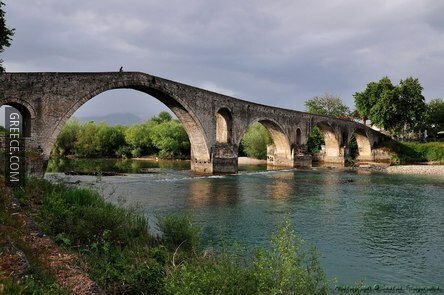 When King Pyrrhos came to power in 295 B.C., Amvrakia (ancient name of Arta) became the capital of Epirus and the foundations of the well-known bridge were laid under his reign. In 31 B.C., the population was relocated to Nikopolis, resulting in the desertion of the town during Roman times. Arta rose from oblivion during the rule of the Komnenus family. 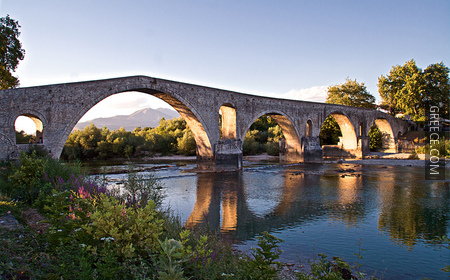 In the 13th century A.D. the town, now known as Arta, became the capital of the Epirus Despotate, whose rulers were related to the Imperial house of Angeloi and even bore the emperor title for a time. Many of the churches that still remain in the modern city date back to that period. 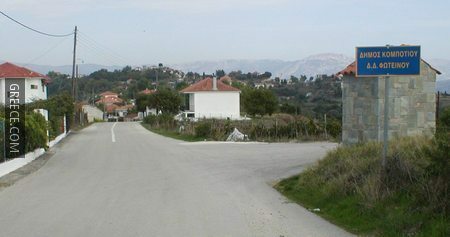 In 1318, Arta fell into the hands of the Norman lordship of Kefallonia, before briefly returning to Byzantine control in 1340. 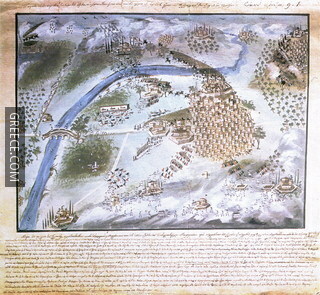 Six years later, it was captured by the Serbs and in 1449 by the Ottomans. 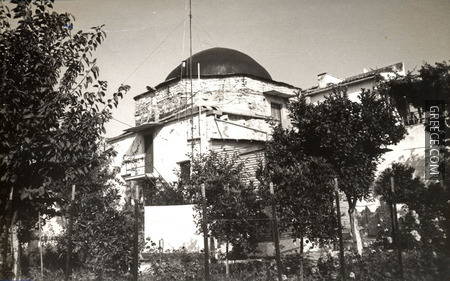 In 1662, the Patriarch of Jerusalem founded a school in Arta, contributing to the education of the Greek nation. 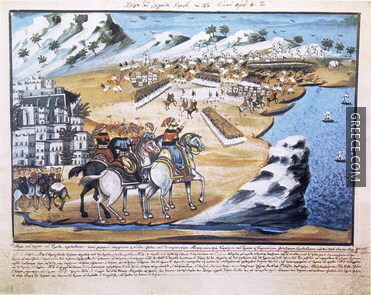 Arta attained glory mainly during the Turkish occupation and the rule of Ali Pahsa, who seized it in 1796. He maintained his authority over the region until 1820, and in 1881 the city was finally annexed to the New Greek State. 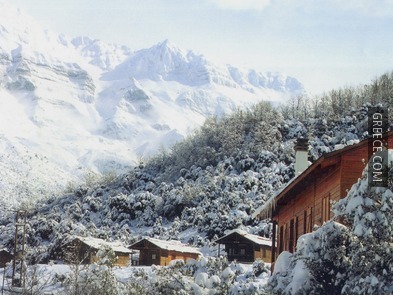 Rodavgi: This is one of the most picturesque villages in the area. 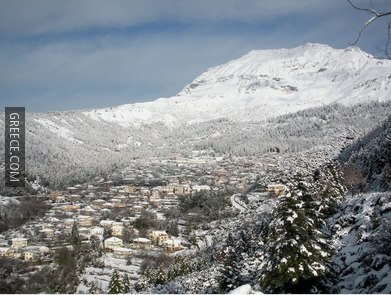 It is situated 24km away from Arta, at the foot of Mount Xerovouni. 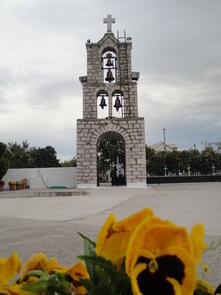 The village offers several places of interest, such as churches and chapels, including the church of Agia Paraskevi, built in 1804 A.D. A recently reconstructed spring, known as the Besiko, in the shadow of a planetree forest, is also worth a visit. 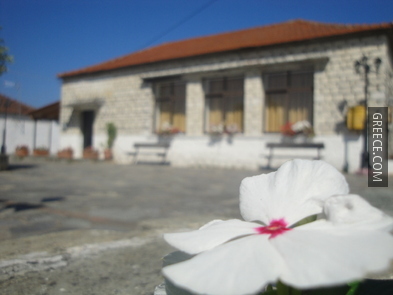 Koronisia: This village, 25km away from Arta, is built at the edge of an expansive stretch of land. The presence of the ruins of a byzantine church (Panagia Koroniotissa) evokes a particularly interesting atmosphere. 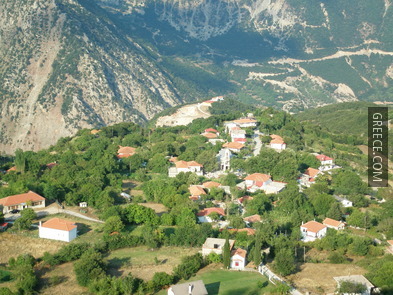 Voulgareli: It is a pretty village at an altitude of 740m, with impressive rock fountains and numerous springs. 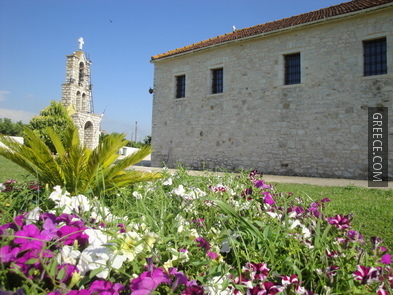 The Red Church (Kokkini Ekklisia) is located close to the village and is worth a visit. 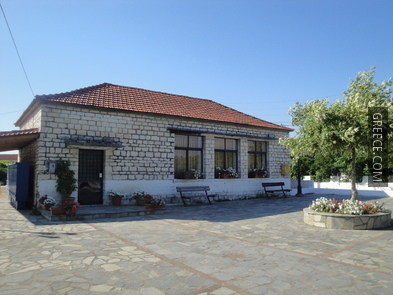 Komboti: It is situated 12km away from Arta and is the birthplace of Nikolaos Skoufas, the founder of Filiki Etaireia (Society of Friends, 1815). 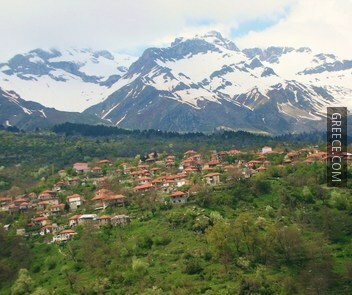 This village is one of the most prosperous in the region and was founded during the Turkish occupation of Epirus. 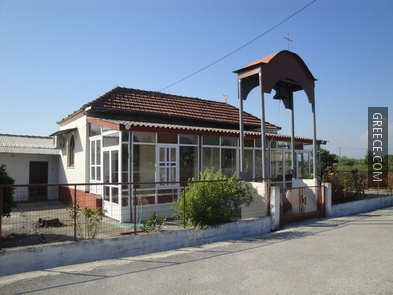 Agios Vassilis of the Bridge (tis Gefiras): A small church northwest of the bridge dates back to the 9th century. For centuries, it was half covered in dirt; excavation works were completed in 1972. It has an impressive dome, which is disproportionately high in relation to the rest of the building. 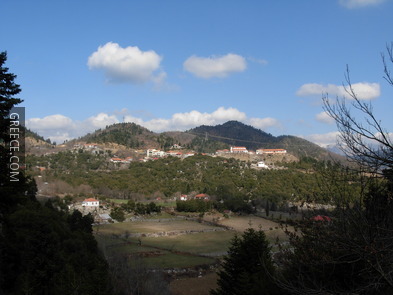 The Monastery of Kato Panagia (3 km. from Arta): There are interesting frescoes on the facade of the narthex and the interior of this 12th century church. The bases and capitals of the columns that separate the aisles were taken from Late Roman buildings in Amvrakia. 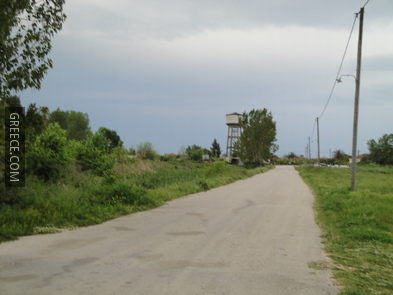 Agios Dimitrios Katsouris (5 km. from Arta, at Plisii): This is a cruciform domed church built in the 10th century, having three semicircular apses. The most recent layer of frescoes dates to the 17th and 18th century. 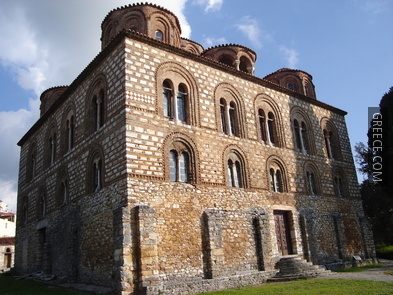 Panagia of Vlaherna (directly opposite Arta at the village of Vlaherna): This is a three - aisled vaulted basilica, erected in the 12th century, with important frescoes created in the 13th century. The fresco in the narthex depicting the procession of Panagia Odigitria is a unique composition, mainly because of its details in the portrayal of the attending flock. 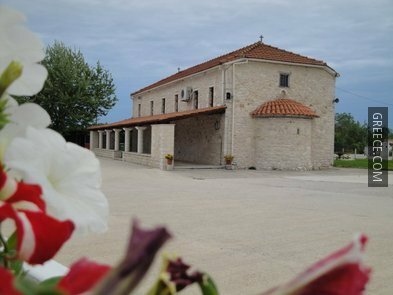 Panagia of Brioni (near the village of Neohoraki): This 11th century church was once part of a large monastic community dedicated to the Virgin. Of major interest is the ceramic ornamentation both in the lunettes of the cupolas and on the eastern facade. Agios Nikolaos of Rodia (near the village of Vigla): A 13th century church with 14th century frescoes. The red church (near the village of Voulgareli): Dedicated to the Nativity of the Virgin, this 11th century cruciform church is not domed, and only few of its frescoes remain. Panagia of Koronissia (at the homonymous village): Built in the 10th century, this church is all that remains of a once flourishing monastery. The exterior of the church is rather unusual in shape: The eastern part is cruciform, while the western part is covered by a continuous inclining roof. Its frescoes were created much later, dating to the 17th century. 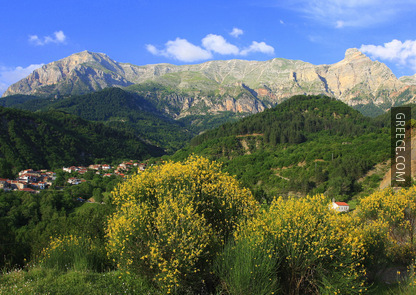 Apart from the Byzantine churches and monasteries, the landscape of the area varies from the rough mountain range of Tzoumerka to the tranquillity of the vast Arta plains. You can reach Arta by KTEL coach, from Athens, Thessaloniki and other major cities.